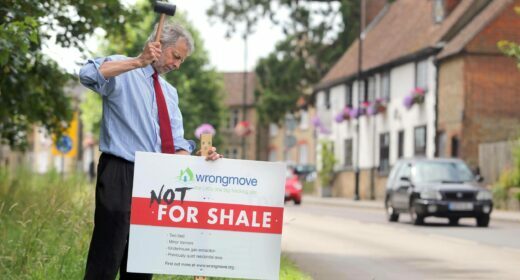 Estate agents in areas close to possible fracking sites have warned the controversial technique is likely to wipe tens of thousands of pounds off the values of nearby properties, potentially affecting up to half of all house sales, new research found. Property dealers in areas sitting on the frontline of the fracking advance are also reporting concerns from potential buyers over looming shale developments, with some sales already falling through as a result. The Department for Energy and Climate Change is expected to auction off licence blocks to fracking firms over an area covering more than half of Britain just after the general election. At the same time, more than 1,000 election candidates from all the main parties have made a public promise to oppose fracking in their constituencies as pressure mounts just days before a highly uncertain vote. In the first major survey of this kind, leading marketing research agency Redshift has interviewed 60 estate agents across three areas where energy firms are planning to carry out fracking: West Sussex, Manchester, and Lancashire. Two thirds (67%) of those interviewed say fracking operations could bring down house prices. A majority of them estimate the loss in value to be more than 8-11%, with two agents putting it as high as 41-70%. With the price of the average house in the UK estimated at £272,000, even just a 10% drop in value could translate into a loss of tens of thousands of pounds. A majority of the estate agents surveyed (54%) also say they are concerned fracking could reduce property sales near potential fracking sites. Most of those who say they’re concerned believe more than one in ten purchases could be affected, with nine dealers putting the estimate as high as 25-50% of all sales. One in four respondents also say home buyers have expressed concerns about the prospect of fracking in the area, with four estate agents reporting some customers have pulled out as a result. The government has previously stated there’s no evidence that fracking will affect house prices. Yet ministers has so far refused to publish in full a heavily redacted report believed to contain evidence of the shale industry’s impact on the housing market. Three quarters of the estate agents interviewed said fracking should not be permitted until more research is done. All but two (97%) also said the government should publish the redacted report in full. James Nisbet, who lives a few hundred metres from one of the Lancashire sites where energy firm Cuadrilla is seeking to frack, says a few potential buyers have pulled out of purchasing his £375,000 house after learning about the looming energy development. “It’s worrying that homeowners who happen to live in fracking zones are being kept in the dark on how fracking will affect them. Some are already starting to bear the brunt through aborted sales and their homes being devalued. “It looks like the mortgage ministers have bet on fracking is someone else’s. Why would people believe their promise that shale extraction won’t hit house prices when estate agents disagree and the government is still refusing to publish key evidence? With thanks to Greenpeace for the photos.